If the festive season is a little overwhelming for you this year, let a local business in region do all the hard work for you! Sit back, relax with family and friends, make new friends with those dining nearby, and check out these businesses in Newcastle and surrounding areas offering Christmas Lunch events this year! 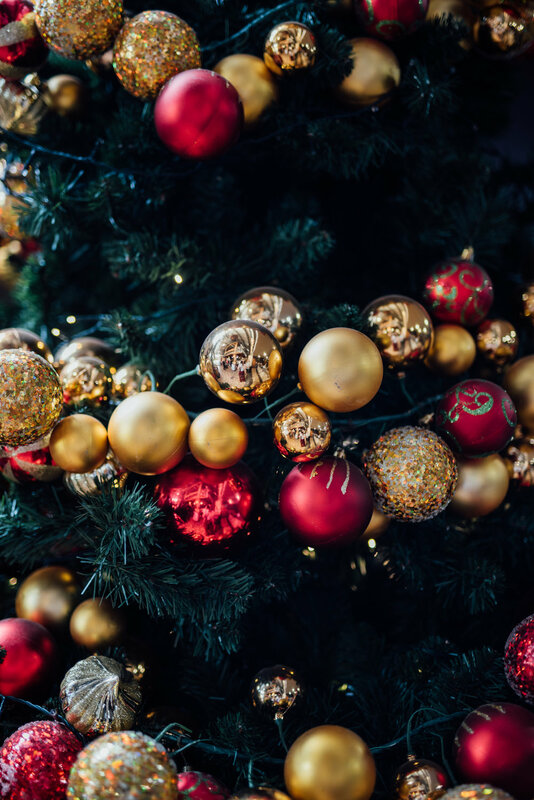 Rydges Newcastle is hosting a Christmas Dinner this year where you can enjoy a gourmet seafood and traditional favourites buffet alongside a 3 hour beverage package. With artisan breads, King prawns and oysters, assorted cold seafood, traditional glazed leg of ham, roasted and seasoned turkey breast, rolled roast pork, baked salmon fillets, plentiful sides and salads, and a large assortments of sweets, you’ll be leaving full with food and merry vibes. Cost: Adults $125pp | Teenagers (12-17) $109pp | Children (4-11) $69pp | Under 4 are FREE. Sit back, relax, and leave the cooking to the amazing staff at Honeysuckles Hotel this Christmas Day. Bring your Christmas cheer along with you and enjoy a delicious buffet lunch. Christmas is stressful enough without the hassle of entertaining; so dust off your Santa hat and let the staff at Honeysuckle Hotel bring you the best present of all - no cooking or cleaning. With staggered seated sessions both indoors and outdoors at their beautiful venue, be sure to book soon to secure your favourite spot at this waterside location! Cost: Adults $139pp | Children (5-10) $39pp | 4 and Under FREE. Bookings essential - Reserve tickets online. Phone: (02) 4929 1499 for more info. Christmas is a busy day at The Anchorage, with their Christmas Lunch sold out already! But don’t fear - if you’re after a bayside Christmas experience, head there for their Christmas Feast Buffet Dinner. Ease into the evening with a glass of sparkling wine, then help yourself to the vast array of hot and cold delights including sumptuous local seafood and traditional cuts from the plentiful Christmas Table. With festive dessert options to fill your stomach to the brim, you can’t miss this! Bookings are essential - secure your spot as soon as possible. Are you looking for somewhere to go on Christmas Day for lunch? Then why not book a table at the stunning Shoal Bay Country Club, right on the water at Shoal Bay. They will be serving a sumptuous Seafood Buffet Lunch with prawns, crabs, Balmain Bugs and oysters, as well as all the traditional Christmas favourites of turkey and ham. There is also Christmas pudding and pavlova in the dessert options! Will you be in between places on Christmas day, or taking a late flight on the festive day? Perhaps treat yourself to a Christmas Day lunch at Mecure Newcastle Airport! With an excellent array of foods from prawns, to smoked ham and maple glazed vegetables, and a fruit pudidng to top it off, travelling on Christmas couldn’t get any better! Bookings essential and full payment required at the time of booking. Grab a festive and traditional buffet three-course lunch at Charlestown Bowling Club! Starting with antipasto platters, fresh prawns, followed by roast pork, beef and turkey cuttings, seasonal ham, barramundi, an array of salads and vegetables, and of course a dessert buffet as the cherry on top! Sit back, relax, and leave the cooking to The Mattara this Christmas Day. Bring your Christmas cheer to Mattara Hotel for a delicious Buffet Lunch. Christmas is stressful enough without the hassle of entertaining; so dust off your Santa hat and let them bring you the best present of all - no cooking or cleaning. Are you after a seafood and traditional roast buffet without the craziness of city driving? Babbingtons is in the perfect spot for those further from Newcastle’s CBD! Let the chefs cook up a feast for you, and keep the kids happy with gifts for the younger ones! It’s Yuletides meets the vine this festive season at our Christmas Day lunch buffet. Indulge in Christmas favourites with a touch of the Hunter as every menu item will be made using locally sourced produce. The team will have a buffet lunch on offer including a 4-hour drinks package for adults and a 4-hour soft drink package for the kids! Cost: Adults $195pp | Children are varied prices depending on age. Offering a sumptuous seafood lunch buffet or a relaxed wood fire pizza dinner, Kirkton Park has the perfect family event for you this Christmas. Lunch already organised this year but after somewhere nice for dinner? Christmas Day Dinner including wood fire pizza, salads, and house beverages! Bookings are essential via their online booking form below. Join Billabongs for their annual Christmas Lunch at Billabongs Restaurant. Relax, indulge and leave the cooking to us this Christmas. With a seafood feast plus traditional ham, turkey, and warm Christmas pudding, sit back and have a relaxed Christmas with them! Cost: Adults $66.60 | Children (12-14) $60.60 | Children (9-11) $50.60 | Children (6-8) $37 | Children (2-3) $15. Bookings essential via phone call! Relax and let us take care of lunch this Christmas at Raffertys Resort. You and your family can enjoy a shared seafood platter followed by Christmas carvery buffet with all the trimmings and classic Christmas desserts. With complimentary bon-bons, and a tea and coffee station to keep you alert, Raffertys is the best option in the Lake Mac area. Bookings can be made online or via a phone call! Christmas lunch, tapas style! You’re also able to BYO drinks! Bookings essential via the number below.